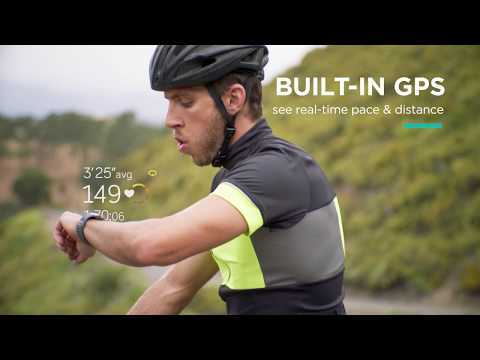 Stylish watch for sport and active move lovers with the Fitbit OS operating system. They feature a high-resolution OLED color display, Purepulse continuous pulse tracking, SpO2 Global Positioning Sensor, GPS / Glonass Receiver and seven other sensors. They are watertight with a dive level of up to 50 m. Features: Fitbit Coach Personal Trainer - a personal trainer who sets up a training program. Automatic run recording - The Run detect sensor turns on the GPS sensor to monitor the intensity and runtime. Swimming Mode - Display the number of pool lengths, the time spent, and the amount of calories burned. Improved heart rate measurement technology for a wide variety of sports activities. The SpO2 sensor, which monitors the overall health picture, monitor the symptoms of sleep apnea. The ability to listen to music from up to 2.5GB of memory via wireless headphones. Fitbit Pay - the possibility of realizing electronic payments. Intelligent alerts for incoming Gmail or social networking calls and messages. Long battery life - up to four days (10 hours with active GPS or music playback). Color combination - Blue / Burnt orange. Do you own Fitbit Ionic Blue/Burnt Orange or have you had a chance to try it?